During World War II, a group of costumed mystery men formed the first super-team. Today, the Justice Society of America lives again, as the surviving original members fight alongside a new generation of heroes. Near the end of INFINITE CRISIS, Power Girl learns of a Golden Age adventure in which Batman and Superman battled the Gentleman Ghost. 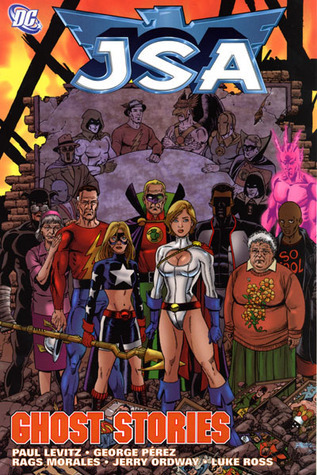 One year later, the members of the JSA are haunted by ghosts of their departed loved ones. As it becomes clear the two incidents are connected, the JSA becomes the target of the Gentleman Ghost and his undead army. How will the JSA end this supernatural slaughter, when the only being who knows how to stop it is the ghost of Batman?